Vikramaditya singh is Indian National Congress leader and currently Member of Legislative Assembly from Shimla Rural Constituency. Vikramaditya singh is son of Raja Virbhadra singh, Former chief minister of Himachal Pradesh. Vikramaditya Singh won from Shimla rural constituency with a margin of around 5000 votes. He defeated Dr. Parmod Sharma of Bhartiya Janta Party. Vikramaditya is a youth icon in state and one of the best young leader and MLA of Congress party in Legislative assembly. He was richest candidate in HP elections 2017 with income of around 84 Crore rupees. Vikramaditya singh born on 17th October 1989 in Shimla. He is son of virbhadra singh, six time former chief minister of Himachal Pradesh and former member of Parliament Pratibha singh. Vikramditya singh became Member of legislative assembly at the age of just 28 years. 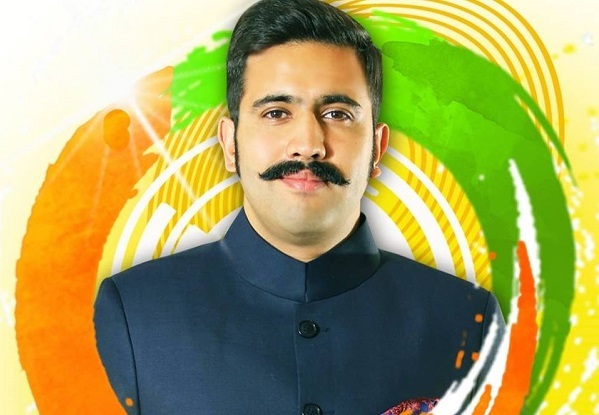 Vikramaditya singh started his politicial career at college level and later he became president of Himachal Youth congress. He is also President of HP Sports, Cultural & Environmental Association. He is Bronze medalist in trap shooting competition at National Level. Vikramaditya Singh won from Shimla Rural Constituency with a big margin of around 5000 votes against Dr. Pramod Sharma of Bhartiya Janta Party. Vikramaditya singh born in Royal Family in year 1989. He is Son of Pratibha Singh former member of Parliament and Virbhadra singh six time chief minister of Himachal Pradesh. Vikramaditya started his education from BCS Shimla. 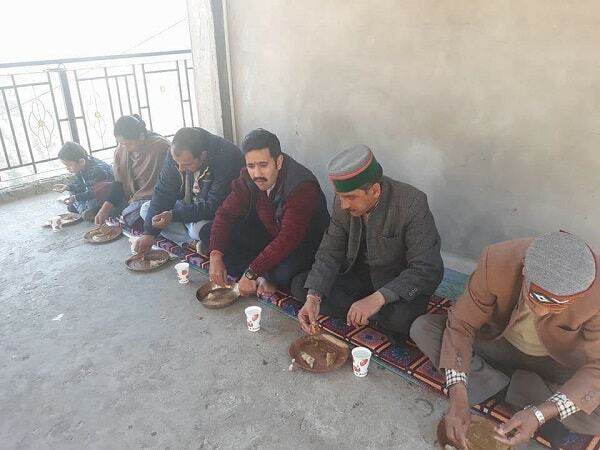 He became president of Himachal Pradesh Youth Congress in year 2013. Virbhadra Ji’s political ideology and public commitment have played a major role in Mr.Vikramaditya’s formative years, thus having a significant impact his own political principles. Vikramaditya Singh started his schooling from Bishop Cotton School, Shimla. He did his Graduation and Post-Graduation in History from Delhi University.Vikramaditya went to Delhi University pursue his graduation B.A. in History from Hansraj College and post-graduate degree M.A. (Hons) in History from and St.Stephens College. 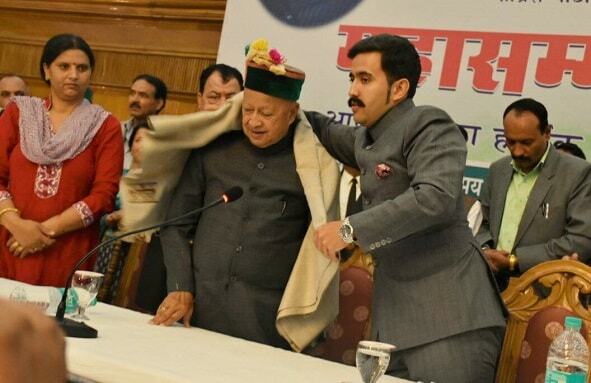 After completion of academic degrees given above Vikramaditya’s political journey started and he asociated with HP Congress Committee.He was selected as state youth congress president in year 2013 and still he is serving as president of Himachal Pradesh Youth Congress. other than this he is President of Himachal Pradesh Sports, Cultural & Environmental Association from 2011 and Himachal Pradesh State Rifle Association from year 2013. When he is not occupied with his multifarious political projects, Mr.Vikramaditya likes to indulge himself in adventure tourism. Furthermore, Mr.Vikramaditya is an avid cyclist and an ardent rifle shooter. He has also represented Himachal Pradesh at the national level. Vikaramditya singh won a bronze medal at trap shooting competition. He runs a NGO called the Himachal Pradesh Sports, Culture and Environment Association (HPSCEA). He is also President of State Youth congress from 2013. Vikramaditya singh won his first election in Shimla Rural constituency with margin of around 5000 votes. He was richest candidate in election 2017. Vikramaditya singh's political journey started at sad note as party lost elections in state but he is true fighter like his father and is expected he will turn things around and will do better in his constituency as he talk about only work and he is very focused about progress of Shimla Rural Seat.